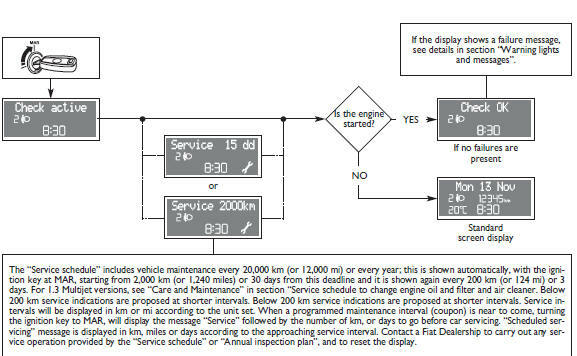 Turning the ignition key to MAR, the multifunction display shows the message “Check active”: the diagnostic phase of all the electronic systems on the car has started. This lasts few seconds: if no faults are detected, when the engine has started, the display shows the “Check OK” message. See section “Warning lights and messages” if faults are found.